Get instant savings by booking a Cala Piccola travel package. Just pick out your favorite options and let Expedia do the rest. Savvy travelers who purchase a package deal on Expedia can save as much as C$590*. You don't need to look around different websites for your travel needs. With more than 400 partner airlines and 321,000 properties worldwide, our international database has all that you need. If you have to change your vacation plans, we will honor your cancellation request on almost all reservations with no hidden fees. Preparing for your trip to Cala Piccola? Want a few pointers about what to see when you arrive? That's where we can help! Slip into your khakis and find your favorite clubs. If you're desperate to get outside for a day out on the green, lock in a tee time at Argentario Golf Club. Adventurers have heaps of options in and around this destination. Pick up some cheese, crackers and a bottle of wine and spend a couple of hours at Giannella Beach. It's one of the most stunning destinations in the region for a relaxing picnic. Still got some time on your hands? A day by the sea is a great way of keeping the youngsters out of mischief. Take a few buckets to Feniglia Beach and see who can find the most intriguing shells. 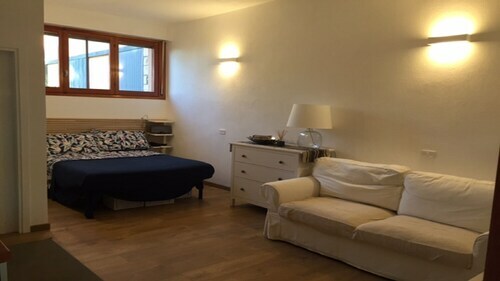 Plan ahead and get a comfy room in Cala Piccola right now. With no less than 11 hotels listed on Expedia, you're bound to find a place with all you require for your next luxury getaway or cheap vacation. 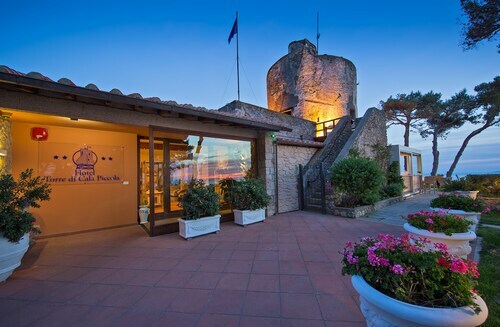 The Argentario Golf Resort & Spa (Via Acquedotto Leopoldino) and the Filippo II (Loc. Poggio Calvello, 17) are two of the higher-end choices in Cala Piccola. Book a room at either and you're bound to have the best guest amenities in town. 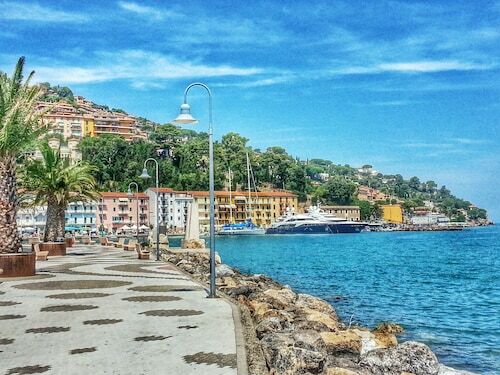 If your vacation nest egg isn't as healthy as you wanted it to be, the Monte Argentario - My Extra Home (Various Addresses) and the Italy Rents Argentario (Via del Sole) are a couple of low-priced options. Booked those plane tickets for your trip to Cala Piccola yet? When you land, get ready to walk out into Baccarini Airport (GRS). It's 25 miles (40 km) from the terminal to the downtown area. 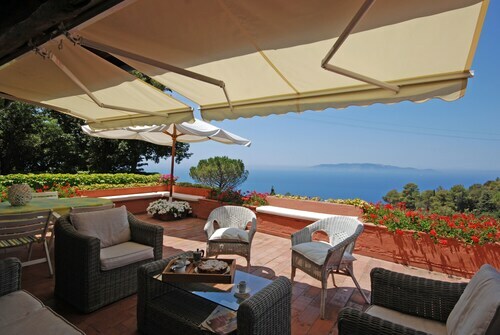 Situated in Monte Argentario, this golf hotel is 2 mi (3.2 km) from Cala Piccola Beach and within 6 mi (10 km) of Spanish Fortress and Argentario Aquarium. Pozzarello Beach and La Soda Beach are also within 6 mi (10 km). Situated in Monte Argentario, this vacation home is 0.8 mi (1.2 km) from Cala Piccola Beach and within 6 mi (10 km) of Spanish Fortress and Argentario Aquarium. Pozzarello Beach and La Soda Beach are also within 6 mi (10 km). Situated by the ocean, this vacation home is 2 mi (3.3 km) from Cala Piccola Beach and within 6 mi (10 km) of Spanish Fortress and Argentario Aquarium. Pozzarello Beach and La Soda Beach are also within 6 mi (10 km). Situated by the ocean, this romantic vacation home is 2.3 mi (3.7 km) from Cala Piccola Beach and within 6 mi (10 km) of Spanish Fortress and Argentario Aquarium. Pozzarello Beach and La Soda Beach are also within 6 mi (10 km). 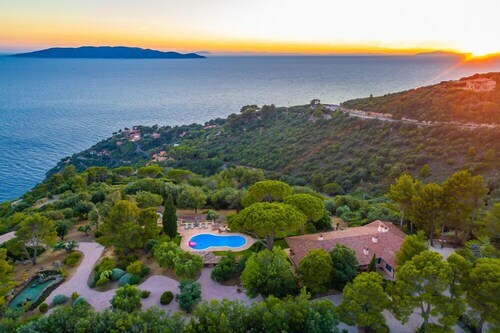 Situated by the sea, this villa is 1.6 mi (2.6 km) from Cala Piccola Beach and within 6 mi (10 km) of Spanish Fortress and Argentario Aquarium. Pozzarello Beach and La Soda Beach are also within 6 mi (10 km). 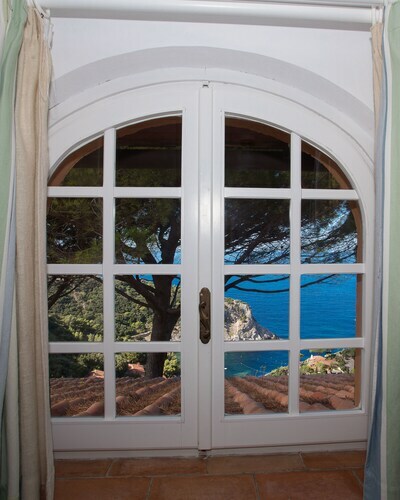 Situated by the sea, this bed & breakfast is 4.1 mi (6.6 km) from Spanish Fortress and within 12 mi (20 km) of Giannella Beach and Feniglia Beach. Arcipelago Toscano National Park and Forte Stella are also within 12 mi (20 km). Situated in Monte Argentario, this property is 1.8 mi (2.9 km) from Cala Piccola Beach and within 6 mi (10 km) of Spanish Fortress and Argentario Aquarium. Pozzarello Beach and La Soda Beach are also within 6 mi (10 km). Sat., 14 Dec. - Sat., 28 Dec.